Build the entryway of your dreams using our 6-piece stile and rail set. Set includes 5 cutters and one spacer. 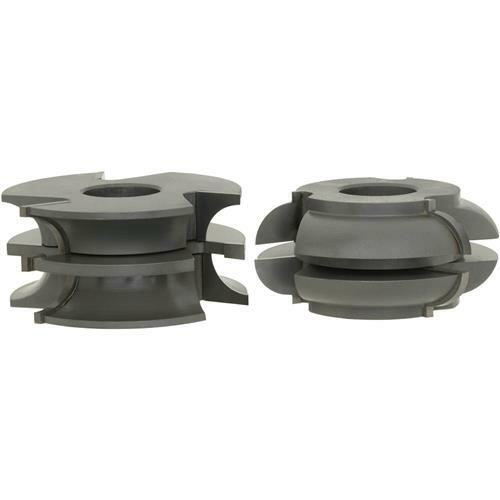 We also have 1/2" and 5.5mm cutters and spacers available for 3/4" bore only. Please order panel cutters separately.Dimensions:Cutter Diameter: 4"Cutting Length: 1-3/4"Cutting Width: 5/8"Radius: 5/8"Maximum RPM: 11,000If using 1-1/4" bore cutter for glass doors, order C2324. 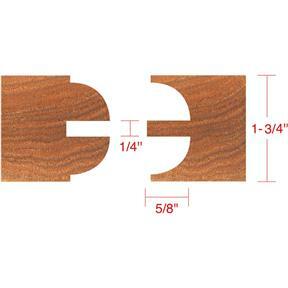 If using 1-1/4" bore cutter for glass doors, order C2324.